Anytime you tell a woman there’s a sale, you will immediately catch her attention. Tell her they’re taking more than half off on the suggested retail price of her favorite brands and it’s game over. This past Saturday, our 5th Element Magazine crew had the opportunity to attend the “Ladies First Sample Sale” and without a doubt, they shut the whole thing down. Collaborating together, the ladies of Ely Agency, Shop D&J, HlzBlz, Stussy Womens and LOVE+MADE brought a first of its kind event catering to the urban-chic. In a male-dominant street wear industry, female representation may sometimes come as a challenge. Being at the event, it was very refreshing to see the women be put first. 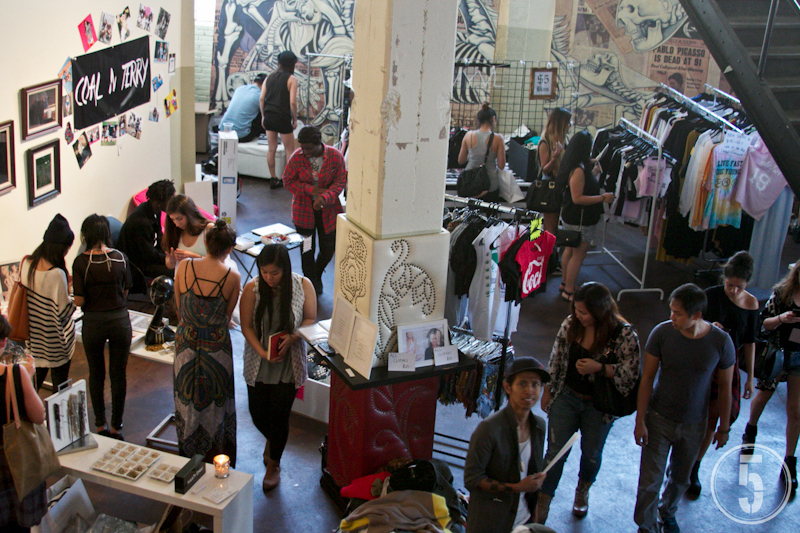 Truly catering to the ladies, on top of all the great sales from the plethora of vendors (like $25 for a Stussy jacket! 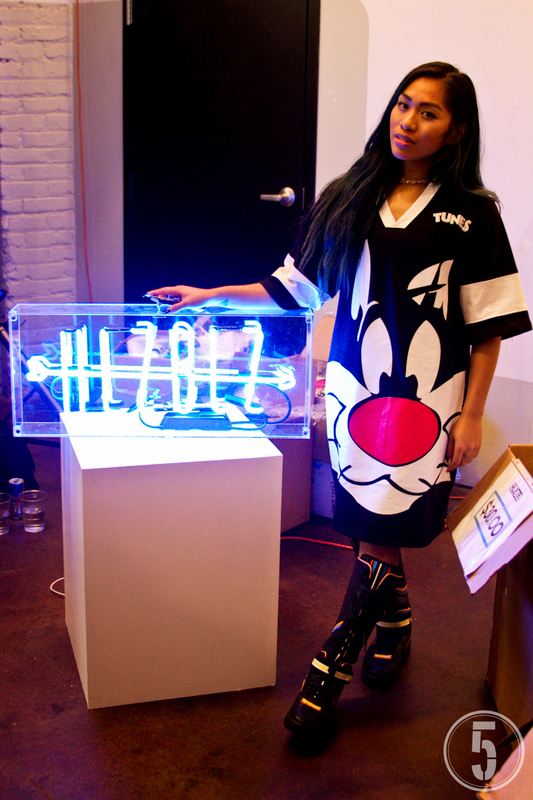 ), the event came complete with live art, free manicures, free DIY flash tattoos and of course, a photo booth. In addition, a line-up of all female DJs like Noodles, Orange Calderon, Sasha Marie, CC love and Bella Fiasco came through with the dope sound sets . For the women by the women, make no mistake, they still made room for the men to feel welcomed. Food trucks, the fact that it was held in a brewery and some of the most fashionable and fly women of the industry under one roof – I mean, how much more could a dude ask for? Everywhere you turned, you were bae-sically bound to spot the baddest of the bad. Closer to the end of the event and more than a thousand shoppers later, there was still a line wrapped around the corner – marking it a success. 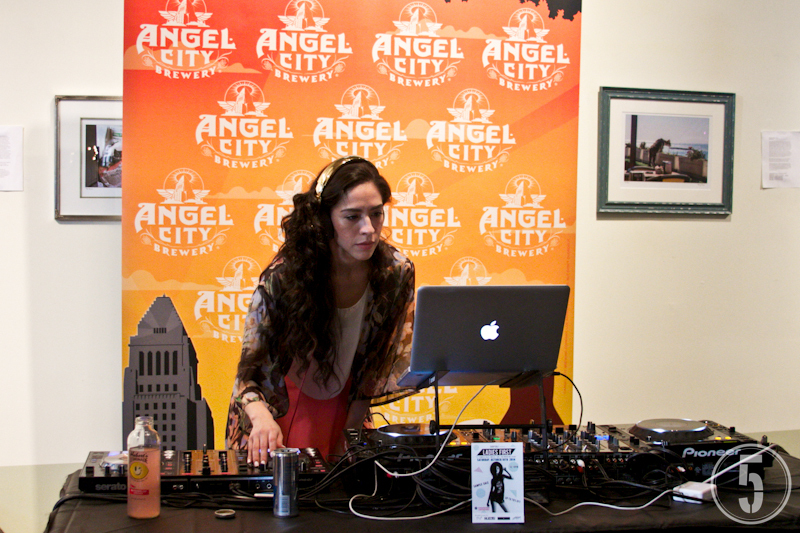 All in all, in the heart of Los Angeles’ Arts District, Angel City Brewery was the perfect location to spend a Saturday afternoon of shopping, eating, drinking, networking and just having fun. If you weren’t there for this one, make sure to stay tuned for the next event – we’ll definitely be there! 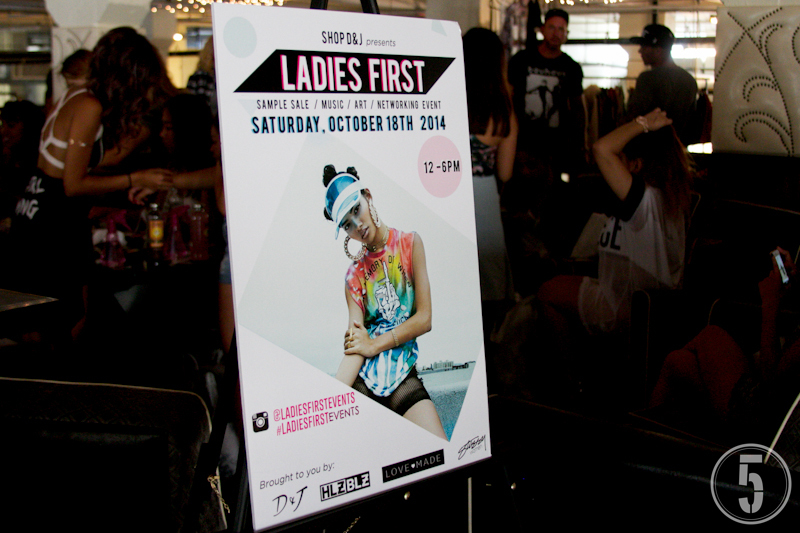 Follow @ladiesfirstevents or visit http://www.shopdandj.com/pages/ladiesfirst for updates, brand info and more on the upcoming events curated by Shop D&J.